What Do Raw Rubies Look Like? Sapphires, like any naturally occurring gemstone, are formed by the different shifts, mixings and chemical changes that are constantly taking place in the earth. Sapphires are created through certain shifts in heat and pressure, and can be found in both metamorphic and igneous rocks. Rocks in which sapphires can be found include granite, schist, gneiss, nephaline syenite and a variety of others. They may also be found in deposits of alluvium. When sapphires are formed naturally, they are hexagonal, and are called corundum. Due to the remarkable hardness of sapphires, second only to diamond, they are highly prized. Corundum can be found in a variety of colors; however, it is only considered to be a sapphire when it is not red. Red corundum is referred to as a ruby. During the formation of corundum, the coloring of the stone is dependent upon what minerals are present. 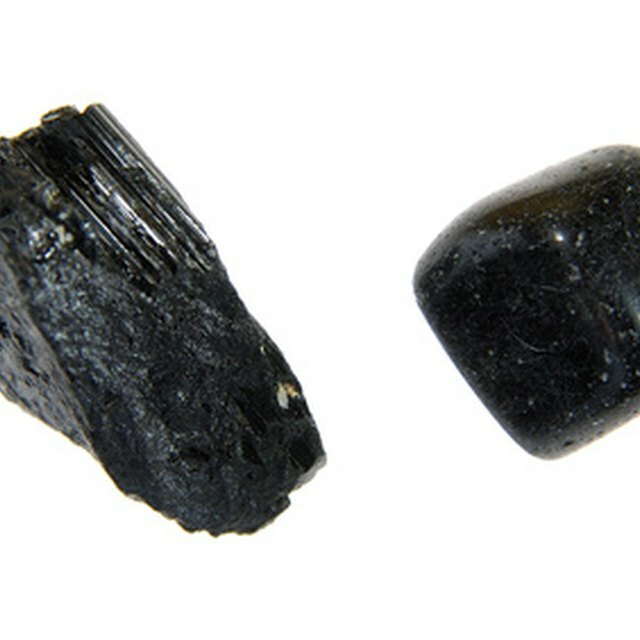 For instance, when iron is present, sapphires may have a green or yellow hue to them, whereas the presence of vanadium will create purple sapphires. The most prized sapphires are blue, which is a result of titanium being present when the stone is formed. With advances in science and technology, methods have been created for artificially growing sapphire crystals. The original process was discovered in 1902, and it consisted of alumina powder being added to a oxyhydrogen flame, which is in turn directed downward. Alumina in this flame is slowly "deposited" in a teardrop shape called a boule. A variety of chemicals can be added throughout this process to create sapphires of multiple hues, as well as red rubies. While other processes have been discovered since the early 1900s, it is these artificial sapphires that have opened up the use of the stone for technological purposes, including use in panes of glass, and as focusing devices in lasers. Litherland, Neal. "How Sapphires Are Formed." Sciencing, https://sciencing.com/how-sapphires-are-formed-12079049.html. 29 September 2017. How Are Lab Created Rubies Made?